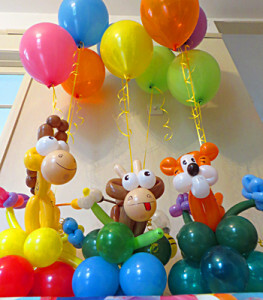 Make your loved one say “wow!” with a fabulous custom-made balloon gift, for collection or delivery. 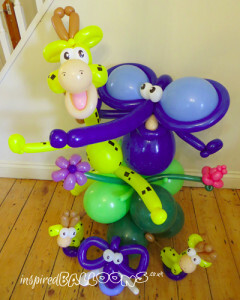 For an eye catching centrepiece, our characters on columns, are sculptures about 3 feet/92cm tall, usually ranging from £25-30. 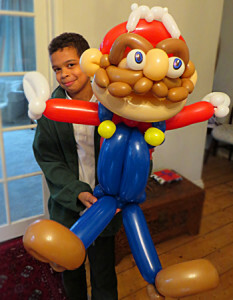 They usually last between 7 to 9 days, although some customers are still enjoying theirs six months later! 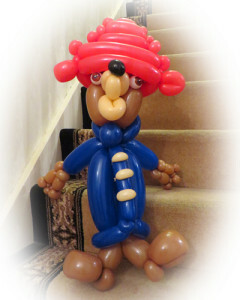 Balloon characters can be made to look like the recipient, a favourite animal, or a character from books, TV and film. 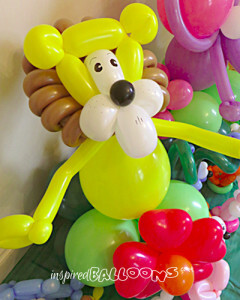 Price depends on size and time taken to make an arrangement. 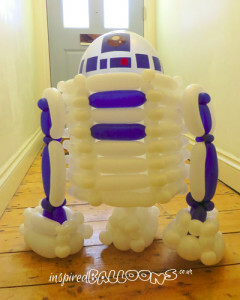 Helium filled latex balloons are inflated to 10.75 inches, and filled with hi-float to extend float time to days after your party is over. 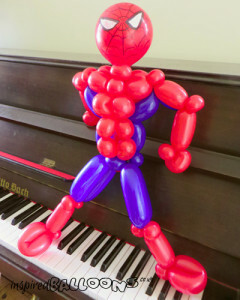 A single helium balloon filled with hi-float, inflated to 10.75 inches, and tied to a ribbon is £2. 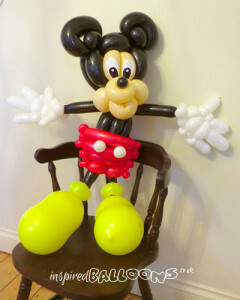 Three balloon bouquet with a sculptured daisy balloon weight or standard weight £8. 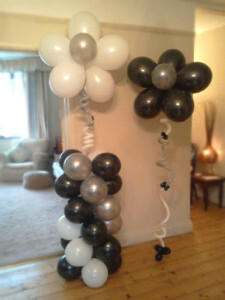 Five balloon bouquet with weight £12. 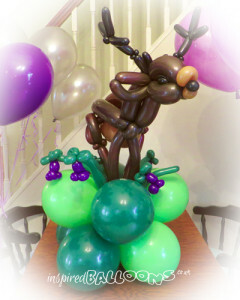 Seven balloon bouquet with weight £16. 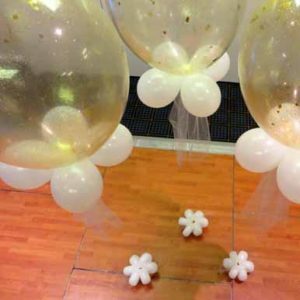 A single helium filled 18″ foil – heart, round or star shaped – tied to a ribbon is £3.50. 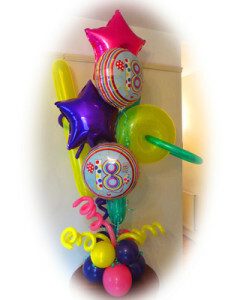 Seven foil balloon bouquet with weight, £25. 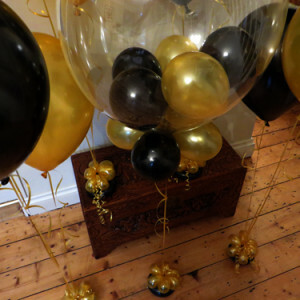 Ten foil balloon bouquet with weight £35. 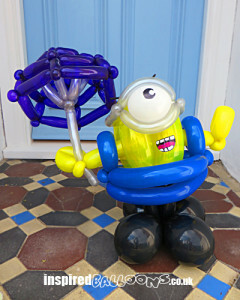 Extra charges apply for novelty foils, bubbles and sculpted centrepieces. 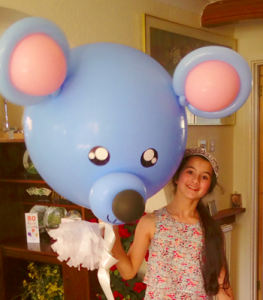 We offer a friendly delivery service to all customers within an 8 mile radius of Hemel Hempstead. This service is £5 plus £1 per extra mile from Hemel Hempstead . For deliveries further afield, the price is twice mileage eg Watford and Luton £20; London £50 (plus congestion charge if appropriate). 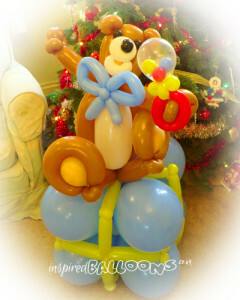 Arrangements can also be made to deliver your order by courier.